APB Entertainment's New Website is Live! Shea absolutely hates it when I brag on him publicly. 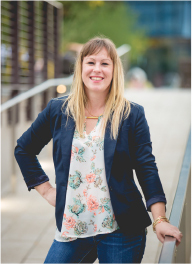 But I can’t help it – I’m a proud wife! I’m proud of my husband and I’m proud of the work he does. Because I know that he puts so much of himself into it. Since we work a lot from home, we get to spend almost every day together. But when he’s working on a website he goes into “the office” and I can pretty much count on not seeing him for days on end, until he resurfaces after he has most of the site complete. 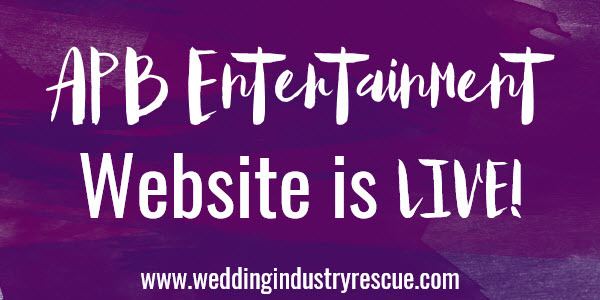 So, I’m excited to be able to share with you the product of not seeing him for many many days – the new website for APB Entertainment in New York! David emailed me in December with a really funny email, so I knew we would hit it off! He is definitely our kind of people. 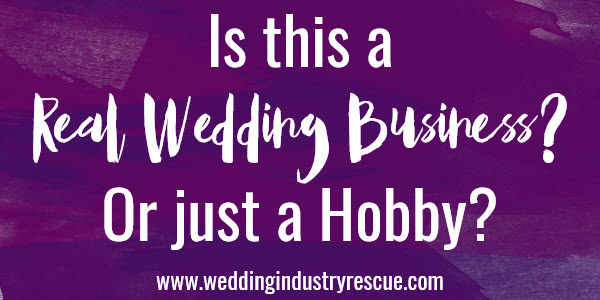 He wanted a new, updated look, that really stood out from the crowd of “those other guys” and showcased how his company as THE Wedding DJ Specialist and I think we really delivered! Here’s what we started with – a very dark (black) and dated typical DJ website. (Why do DJs always have black websites??) 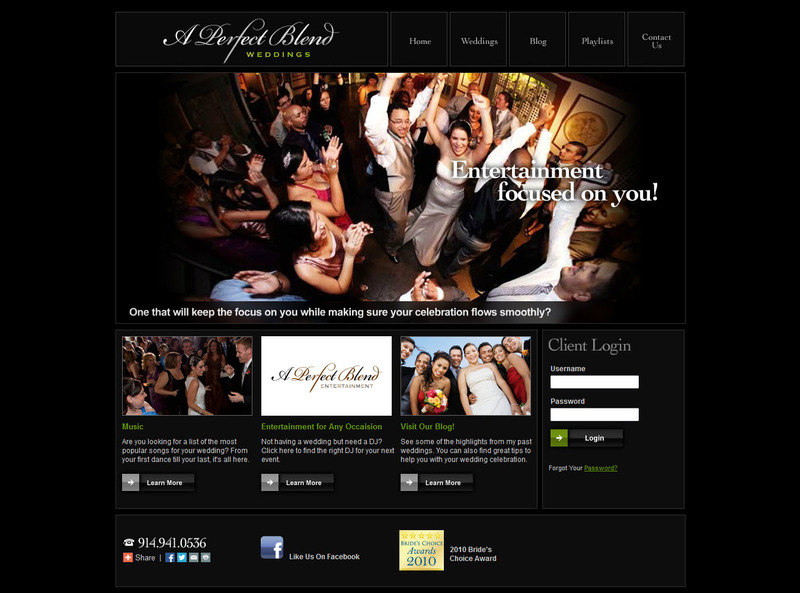 The site was a little hard to read clearly but did have some great features – the wedding playlist was the favorite. 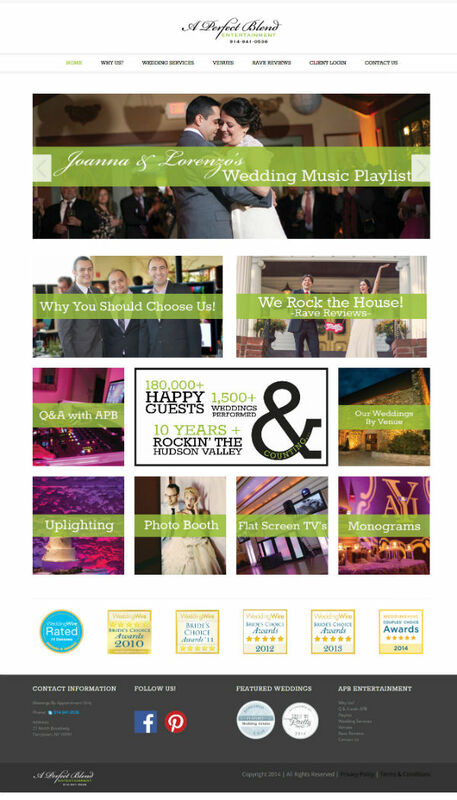 APB Entertainment had a page where future clients could see the playlists of past clients weddings. I absolutely love this idea – and apparently so do their brides. So we really made this feature stand out on the new site. Here’s where we ended up! Don’t you just love the vibrant color!? The new site is very clean, drawing the bride to just the right parts of the site. We used the wedding playlist as the first component you see when you land on the site, allowing the client to click on the graphic and see a list of playlists to choose from. We’ve further highlighted the experience and Expert Status of APB Entertainment with the graphic showing how many weddings they had performed to date – WOW, that’s a lot of weddings! We had so much fun working with David and APB Entertainment. They really know their stuff, when it comes to being a Wedding DJ! And they have been a absolute blast to work with! And now that their site is up and running, we’re ready for our next client! Looking for a new website? Give us a shout! Wow!!!! What an awesome job you did with this website. The owner of APB must be so happy. I’m sure he would love to thank you for all of your hard work and dedication. Ok, Ok, you got me… It’s my site but I really mean what I said above. Cheryl & Shea ROCK!!! Hire them now before your competition finds them.